For the past four years here in Britain, we have been commemorating the centenary of the First World War. Each year, the nation marks Armistice Day and Remembrance Sunday. This year, which marks hundred years since the war ended, both fall on 11th November. At the time, of course, this terrible conflict, which destroyed so many lives, was known simply as ‘The Great War’. It was only when conflict returned to the continent of Europe in 1939 that it gained a new name, designating it as the First World War. 11th November is going to be a very unique moment. For Jews across the world, there is another significant anniversary that immediately precedes it: the 80th anniversary of Kristallnacht, the ‘Night of the Broken Glass’, 9th to 10th November 1938. This year, Kristallnacht falls on Shabbat. So: from Friday evening on the 9th through Sunday, 11th: a time for reflection and remembrance. It has been some years now, since there have been any survivors of the First World War to share their testimony with us. Soon, those who lived through Kristallnacht will also no longer be alive to talk about what happened to them. At BHPS, one of those who experienced that terrible moment when the persecution of the Jews of Germany transmuted into a campaign of violence, Rose Cannan, Z”L, sadly died in November 2016 at the age of 94. Fortunately, she wrote her autobiography, In Paris We Sang. A Memoir (Ashgrove Publishing, 2013) which includes her Kristallnacht story, so her testimony has been preserved for present and future generations. We are blessed that among our membership, another Kristallnacht witness is still in our midst: Margarete Mendelsohn. She was only eight years old at the time. Margarete has also written her autobiography: The Nazis Through the Eyes of a Child (My Voice Publishing, 2012). At BHPS, we will be holding a special Shabbat of commemoration to mark the 80th anniversary Kristallnacht, and we are delighted that we will be joined by Rabbi Tamarah Benima and members of the Beit HaChidush congregation in Amsterdam, aware that the Jewish community in the Netherlands lives in the shadow of the Sho’ah to this day. On Erev Shabbat, after the service, Dr David Jünger, Lecturer in Modern European History at the University of Sussex, will speak to us about Kristallnacht. The Shabbat morning service will include readings from the memoirs of Rose and Margarete, as well as scholarly accounts from historians, Lucy Dawidowicz and Martin Gilbert. In the afternoon, Margarete will talk to us about her experience. During lunch, we will go upstairs to the library, where one wall is adorned with two portraits by artist, Pauline Lewis. One is of Rose Cannan, the other is of Hans Levy, Z”L, another beloved member of the congregation, who came to England on the kindertransport and died in June 2016. Aware that those who have joined the congregation during the past two years did not meet Rose and Hans, their portraits are now accompanied by brief texts, so everyone will know who they were. Remembrance is vital – and informing ourselves is also essential if we are going to ensure that future generations also remember. Books about the Sho’ah, including Rose’s and Margarete’s autobiographies, will be on display in the foyer and in the library. Zichronam livrachah – May the memory of all those who were murdered be for blessing. Rosh Ha-Shanah is early this year – although not as early as it could be. The sacred season begins with S’lichot, prayers of ‘Forgiveness’, on the night of Saturday/Sunday, 1st/2nd September. This is very early. According to the Ashkenazi custom, to ensure that S’lichot are recited for at least four days prior to Rosh Ha-Shanah, if Rosh Ha-Shanah falls on Monday or Tuesday – as it does this time round – S’lichot are held back a week. So, this year the autumn festivals will be all over by 3rd October. Next year, by contrast, Rosh Ha-Shanah will be at the end of September (Erev: 29th). What’s the reason for this disparity? The Jewish calendar is rather complex. It is complex because it reconciles the solar year and the lunar year – the latter being eleven days shorter. The Jewish calendar does this so that the festivals fall in the right season. For example, Pesach is a spring festival, which according to the Torah takes place in the month of Aviv, ‘spring’ (Bo, Exodus 12:1ff.). In the 4th century, Rabbi Hillel II established a fixed calendar, which standardised the length of months – 29 or 30 days – and followed a 19-year cycle, in which an additional month is added seven times – in the 3rd, 6th, 8th, 11th, 14th, 17th and 19th years of the cycle. To ensure that Purim on 14th Adar and Pesach, which begins on 15th Nisan, remain one month apart, this additional month became Adar 1, Adar Rishon, ‘first Adar’, with Purim taking place in Adar 11, Adar Sheini, ‘second Adar’. The 19-year cycle also includes adjustments to ensure that neither Yom Kippur nor Hoshanah Rabbah, the seventh day of Sukkot, fall adjacent to Shabbat. To avoid this problem, a day is added to the month of Cheshvan or subtracted from the month of Kislev in the previous year. 5779 will be a 13-month year, known as shanah m’uberet, a ‘pregnant year’ – hence, Rosh Ha-Shanah 5780 will be late. It isn’t necessary to know the technical details of the calendar in order to experience the flow of the Jewish year. The Jewish year simply goes from Rosh Ha-Shanah to Rosh Ha-Shanah. Nevertheless, the importance of, both, the lunar and solar years to the Jewish calendar is critical to the experience of the flow of Jewish time. After all, Jews live not only from festival to festival, but also from moon/month to moon/month. I mentioned that the biblical name for the month in which Pesach falls is Aviv. According to the Torah, Aviv, is the beginning of the Jewish year for months (Bo, Exodus 12:2). In other words, Aviv, which after the Babylonian exile acquired the Babylonian name, Nisan, is the first month of the year. It makes sense to begin a year in the springtime. It makes even more sense that the Exodus from Egypt, which defined our existence as a people, should begin in the spring. So, what do we make of the fact that the New Year falls on 1st Tishri, the seventh month of the year? Rosh Ha-Shanah means ‘the head of the year.’ Rosh Ha-Shanah is the highpoint of the Jewish year. Its significance is spiritual rather than material. On Rosh Ha-Shanah, we embark on a soul-searching journey that concludes at the end of Yom Kippur. During that ten-day odyssey, we effectively step out of the natural world in order to examine our deeds and repair our lives and our relationships. And then, the first thing we do afterwards is re-enter the seasonal cycle by building the sukkah. May we find the spiritual nourishment we need for our journeys. L’shanah tovah! With July, summer begins in earnest – weather permitting, of course. This year, Tishah B’Av, the 9th day of the Hebrew month of Av, falls towards the end of July. Commemorating the destruction of King Solomon’s Temple by the Babylonians in 586 BCE and the destruction of the last Temple by the Romans in 70 CE, Tishah B’Av is a day of mourning, marked by fasting. The other principal observance is the reading of m’gillat Eicah, the scroll of Lamentations, the biblical book that describes the havoc wreaked on Jerusalem and its inhabitants by the Babylonians. Those devastating events belong to the distant past, but annual commemoration ensures that they are remembered. Moreover, subsequent catastrophes deliberately scheduled for Tishah B’Av – most infamously, the expulsion of the Jews from Spain in 1492 – have reinforced the sense that Jewish history is one long inventory of churban, destruction; what the 19th century German Jewish historian, Heinrich Graetz, described as ‘a vale of tears’ (See the five-volume English edition of his History of the Jews, 1891-92). But this is a one-sided view. Jewish life has also thrived in many different times and places over the centuries – not least, in Babylonia, where the magnificent 63-volume Talmud was redacted in 500 CE, and in Muslim Spain, where Jewish poetry and learning flourished for many centuries before the reconquest by the Christian monarchs Ferdinand and Isabella that culminated in expulsion. The story of the Jewish people is complex. If we take the journey of the Jewish community in Britain as an example and survey a few key events that happened in England in the month of July in the 13th and 19th centuries respectively, we can see how external socio-political realities impacted on Jewish life. The mediaeval period was grim, and after more than a century of persecution, on July 18, 1290, King Edward ‘the confessor’ signed the edict of expulsion of the Jewish community from England, which dictated that every last Jew had to leave by All Saints Day, November 1st. But that was not the end of the story. Oliver Cromwell instigated the revival Jewish life in England by inviting the Jews of Holland to settle in the 1650s. And then, following the 1789 French Revolution, the destruction of the feudal social structure that had forced Jews to live a segregated existence led to a complete transformation in the circumstances for Jewish life across Europe. So: July 23, 1858 marked the Parliamentary emancipation of the Jews of England. 12 years later, on July 14, 1870, the United Synagogue was established. July 2, 1871 saw the foundation of the Anglo Jewish Association. On July 9, 1885, Nathaniel Meyer, the first Lord Rothschild took his seat in the House of Lords. You could say that by the late 19th century the Jews of England had made it. But a new century saw a change in Jewish fortunes. As hundreds of thousands of Jews fled pogroms in czarist Russia from the 1880s onwards, Britain’s toleration of its small Jewish community gave way to fear, resulting in the enactment of the first anti-immigration legislation in this country, the 1905 Aliens Act. And so, the complex, changing story of Jewish life in this country continued… And it continues: challenging us now to acknowledge – and remember – times of joy as well as times of sorrow. Last month, I re-watched Simon Schama’s The Story of the Jews, first screened on BBC 2 in 2013. In the fifth and last episode, ‘The Return’, focusing on Israel as the centre of the revival of Jewish life after the Sho’ah, Schama draws attention to the republication of the Talmud seventy years ago by the United States Army, following an agreement in 1946 between the commander-in-chief of the US occupying forces in Germany and the Jewish American relief organisation, the Joint Distribution Committee. This special edition of the Talmud was printed in 1948 in Heidelberg at the Carl Winter Printing Plant that had previously published Nazi propaganda. This special edition of the Talmud published in the very land where, but a short time ago, everything Jewish and of Jewish inspiration was anathema, will remain a symbol of the indestructibility of the Torah. The Jewish DPs will never forget the generous impulses and the unprecedented humanitarianism of the American forces, to whom they owe so much. On Friday, June 17, 1242, twenty-four cartloads of priceless Hebrew manuscripts were publicly burnt in Paris. This disaster was mourned by the Jews hardly less bitterly than the martyrdom of their brethren. Meir of Rothenburg, who was studying in Paris at the time and witnessed the holocaust, commemorated it in a heartbroken elegy (‘Ask, is it well, O thou consumed in fire’). This was the first episode in the long-drawn attack upon Hebrew literature, which, though it failed of its purpose, explains the extreme scarcity of manuscripts of the Talmud preserved at the present time. We Jews are the people of many books. There is one particular book on my shelves that I dip into from time to time, when I want to know what happened on a particular day in Jewish history: A Jewish Book of Days by the Anglo-Jewish historian Cecil Roth (Edward Goldston, London, 1931). Roth is probably best known for A History of the Jews in England (Clarendon press, Oxford, 1978), first published in 1941. This year, the first day of Pesach is on 31st March. Looking up the date in A Jewish Book of Days, I came across a little-remembered fact: that the edict of expulsion of the Jews of Spain, was promulgated in Granada by the Christian monarchs, Ferdinand and Isabella on 31st March 1492 – four months before the actual expulsion came into effect on Tishah B’Av. Roth’s passage on the edict and its consequences, also reminded me that the expulsion extended to the Jews living in the whole of their dominion, including Sicily and Sardinia (pp.77-78). In A Jewish Book of Days, Cecil Roth does not make any connection between events recorded for any particular day. So, for example, his passage for 1st March records the martyrdom of representatives of the Jewish community of Worms, Germany in 1349 (p. 54), and the one for 2nd March records the massacre of Jews in Paris in 1382 (p.54). Nevertheless, reading through Roth’s March record, I discerned an interesting connection between the expulsion of the Jews of Spain and the passage for 25th March, which begins with the journey of a single individual, who set off from his home in Forli, Italy on 26th October 1486, bound for Jerusalem (p. 73). Italian scholar, Obadiah di Bertinoro, famous for his commentary on the Mishnah, determined to end his days in eretz Yisrael, arrived in Jerusalem on 25th March 1488. 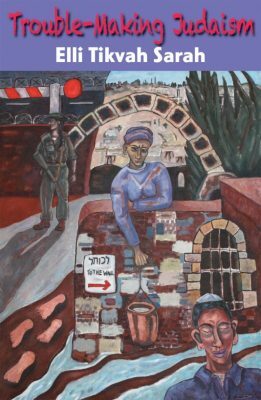 According to Roth, Bertinoro’s arrival there ‘marked an epoch in the history of the Jewish community in the city and in the Holy Land as a whole, and may indeed be taken as the date of the birth of the modern Jewish settlement in Palestine.’ (p. 73). Bertinoro became the spiritual head of the community. Roth writes: ‘He instituted in this capacity regular courses of study, founded a yeshiva for the study of the Law, brought charitable and benevolent institutions into existence, suppressed corruption in the community, and improved relations with the Moslem authorities. Thus, the ground was prepared for the vast increase in the Jewish population of the Holy Land which took place as a result of the expulsion from Spain a few years later.’ (Roth, pp. 73-74). 460 years after Bertinoro arrived in Jerusalem, the modern State of Israel was established on 14th May 1948. Another March date: Cecil Roth was born in London on 5th March 1899. He died in Jerusalem on 21st June 1970.